The top 2 questions we get asked are; what temperature do I cook this at? and how long will it take? We’ll give you some answers, but more importantly we want to show you what to look for and how to understand what your BBQ meat is doing to help you improve your pit master skills and create the best BBQ on your block. 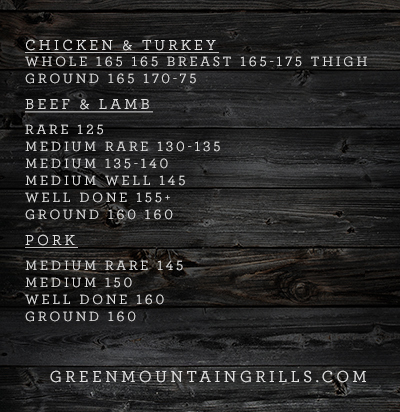 First let’s start with a meat temperature chart. Now that you’ve memorized all those temps, let’s throw them all out the window and talk about low and slow BBQ. Whether it be ribs, pork shoulders or brisket—true BBQ is in it’s own world when talking times and temps and large cuts of tough meat require special attention. The most important thing to remember is it’s done when it’s done. There is no exact temperature that BBQ is done at, and there is no certain time it will be done at, that being said most will agree that the majority of bbq is done in the 190f-210f range. If you’ve been in the BBQ world long enough you’ve heard of “the stall.” This is the point where the magic happens in BBQ, and what makes it so delicious. When large cuts of tough meat are cooked at a low steady temperature the tough inedible connective tissue transforms into gelatin giving you moist succulent BBQ. This process starts around 165f and continues to tenderize until the meat is done. During this time the meat will stall in temperature between the 160f-185f range sometimes for hours, making some people worry that it will never be done. This is where you need to sit back open a beverage and enjoy the BBQ process, remembering that “It’s done, when it’s done.” Some things to note: The longer the stall, the lower the internal temperature will need to be for the meat to be done, since it has more time to break down the connective tissue. Cooking at lower temperatures will create a longer stall, which in turn means your meat will be done at a lower temperature. Higher temperature cooks, say in the 250f-300f range, will power through the stall but your meat may need to be cooked to an internal temperature of 200f+ before it gets tender. Another option to speed up the stall is to wrap your meat in foil when it hits the 165 range, this not only helps power through the stall but allows you to add moisture and flavor to the meat by applying during the wrapping process. So now that we’ve ruled out a specific temperature BBQ meats are done and time really plays no factor, how do we know when its done? 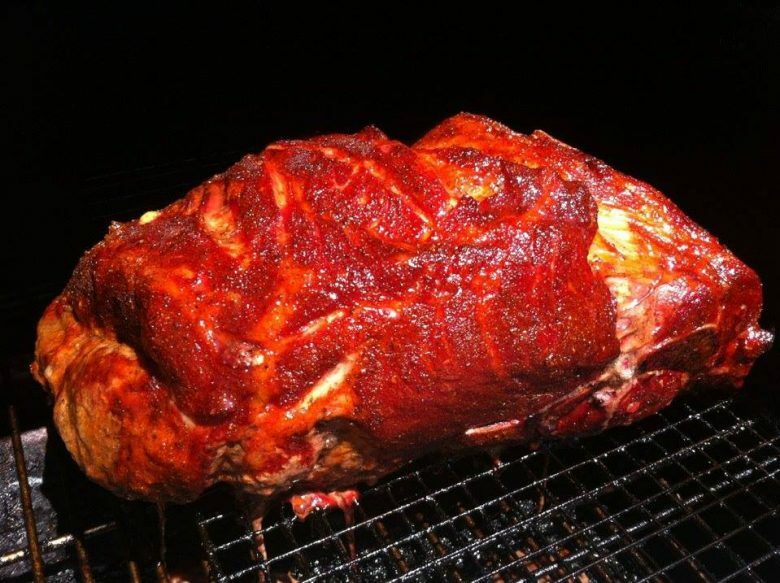 This is where your pitmaster skills come into play. Every piece of meat is different and learning what what to look for is key. You already have an idea of when to start checking for doneness, either 190f if you’re going low and slow or 200f range if you’re doing hot and fast. Learning the feel of a brisket is an art, one good way to know if it’s ready is to use a meat probe to test the tenderness. The probe should go in with no resistance. As soon as this happens it is ready, anything passed this point you may end up with shredded brisket instead of perfect slices. Test Pork butts the same way, but since most make pulled pork you will want to cook past this point making it easy to shred. A good indicator for pork is when the shoulder bone pulls out easily its ready to be pulled. Ribs are a little different since you most likely won’t be monitoring the temperature, but a toothpick poked through the meat with no resistance give you a good idea of when they are ready. Now on to cooking temperatures. A good rule of thumb is the higher the grade/tenderness of meat the higher the temperature. Everyone knows a prime ribeye steak is best grilled at extremely high temperatures, the same for a pork tenderloin or chicken breast. With no connective tissue, there is no reason to cook low and slow. 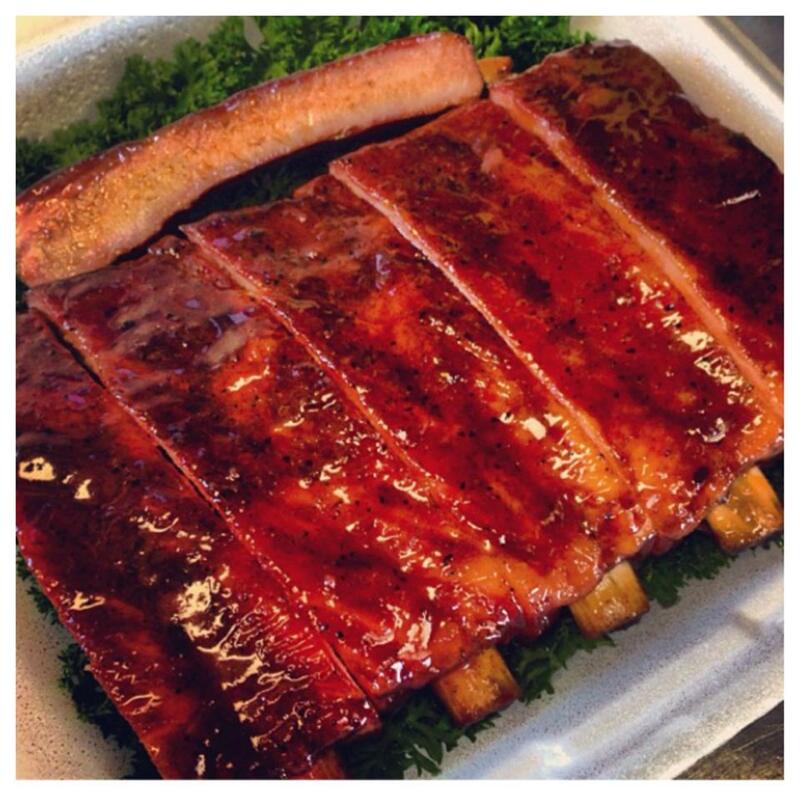 These principles also apply to the low and slow meats, ribs start off a little more tender than pork butts and lend themselves to cooking in the higher range of BBQ (around 275f), pork butts are a very forgiving meat since they contain so much fat but cook best between 225-250. 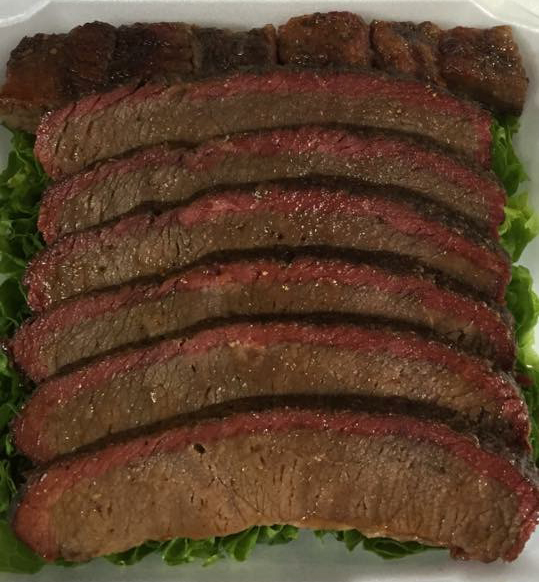 Lastly brisket, grades of beef vary and a prime brisket will cook better at higher temperature, while a select brisket will require a lower temperature. Using this rule will help you determine the best temperature for all your future cooks. I hope this helps you in your BBQ journey, if you have any questions please feel free to leave them in the comments below. And make sure to check out all of our recipes here.